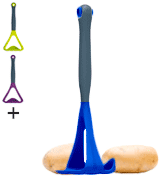 The tool is perfectly suitable for carrots and other tubers/root vegetables. The model comes equipped with a silicone side scraper that will let you remove the mash from the bowl's edge. Isn't the smallest tool out there. Despite its relatively massive size, Jamie Oliver JB8500 is probably the best masher on this list, at least as far as overall convenience is concerned. 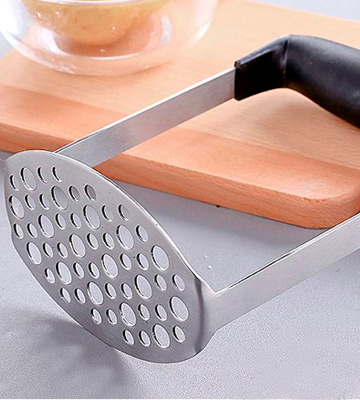 With this tool, you'll be able to prepare perfectly mashed potatoes with very little effort contribution. The oversized handle is really comfortable and able to absorb the pressure from hands. Cushioning your grip, it enables you to use the tool for prolonged periods of time without experiencing virtually any hand fatigue. 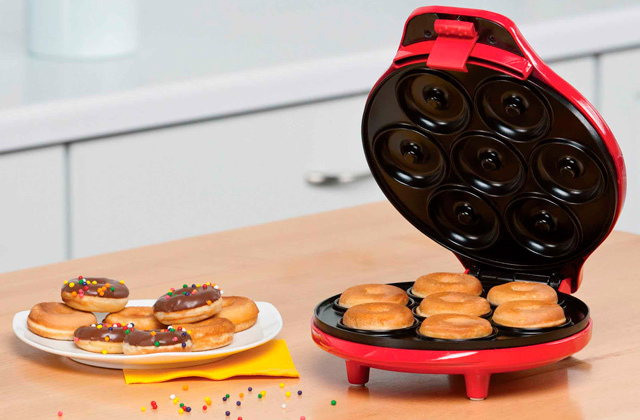 The size makes it incompatible with larger plates. There's nothing fun about mashing potatoes. 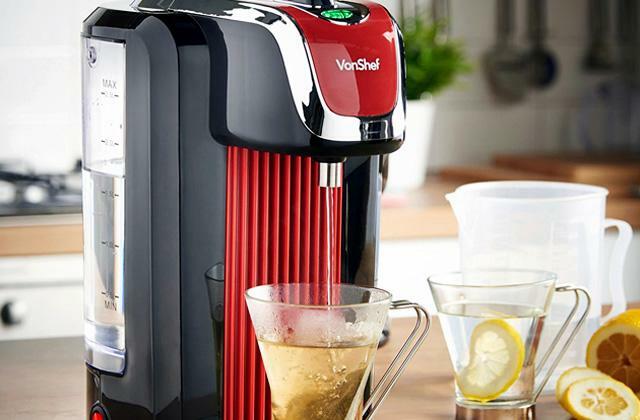 But, with OXO Good Grips 34581V4UK, there won't be anything particularly annoying or arduous about it either. 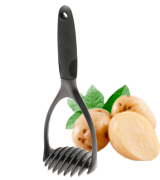 This potato masher couldn't make it any easier to mash as many potatoes as you want in the shortest timeframe and with no hassle. Evenly distributed, the 6- and 9-mm mesh holes make it easy to crush just about any food item from the bottom. The holes do not leave any lumps and allow you to mash different vegetables to a fine consistency with very little effort on your part. The handle could use some improvement. 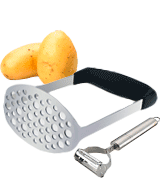 TedGem Stainless Steel Potato Masher isn't really a gem but it is definitely up there. Plus, considering that the tool comes supplied with a potato peeler, the price is ridiculously modest. Provided you don't already have one, this entry here is the best bang for your buck. Incorporating a soft, non-slip handle, the model makes it easy on your hands, putting very little strain on them. The "non-slip" part means you can use the tool with wet hands. 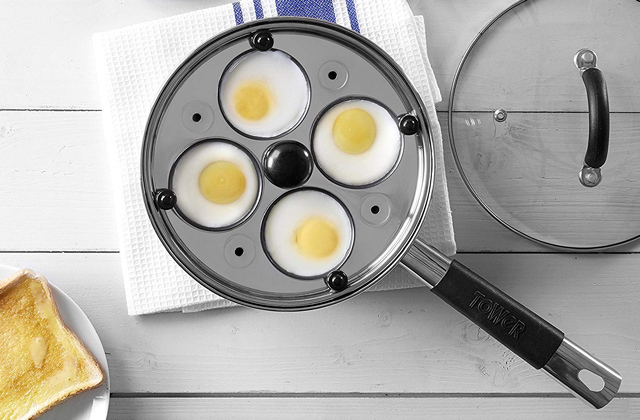 The nylon construction makes it safe to use with non-stick cookware. The head is difficult to clean. OXO Good Grips 77891UK will be great for people with a dishwasher in their kitchen. It comes equipped with a hanging hole, so you'll have extra storage options. 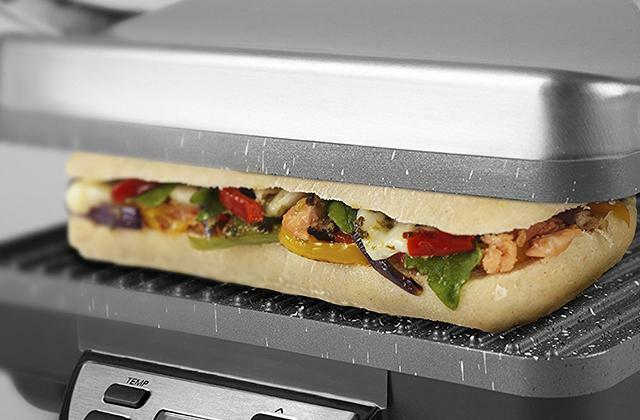 Plus, the tool is heat-resistant up to 200 degrees Celcius. The raised side will allow you to scoop and serve mashed potatoes and then plate up portions without using a spoon. 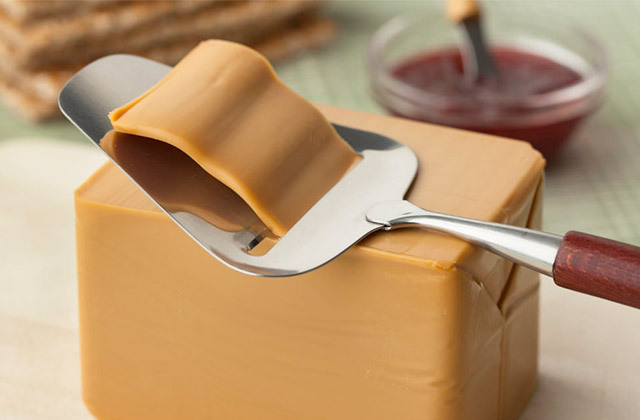 The food-grade silicone doesn't take on residual odours or tastes, so it won't affect your food's flavour. The ribbed masher plate is relatively small. KitchenCraft Colourworks may look relatively cheap but the model has a lot going for it. 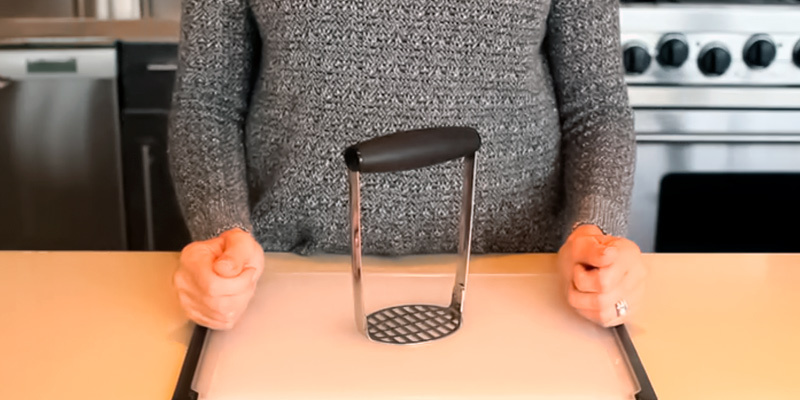 It isn't just a potato masher but also a serving scoop. It is available in a vibrant palette of colours, so you should be able to match your kitchen's decorative scheme. 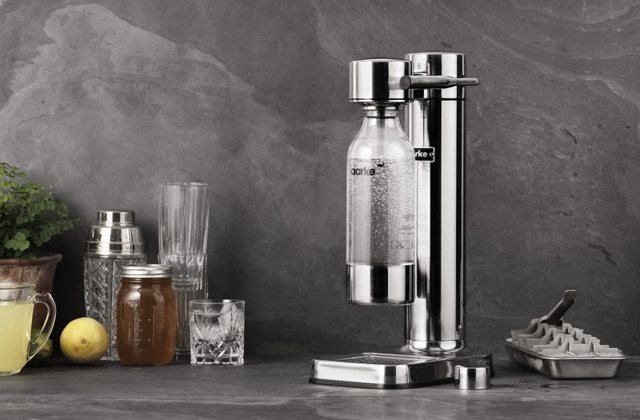 Jamie Oliver knows hit kitchen tools and Jamie Oliver JB8500 is an excellent example of that. 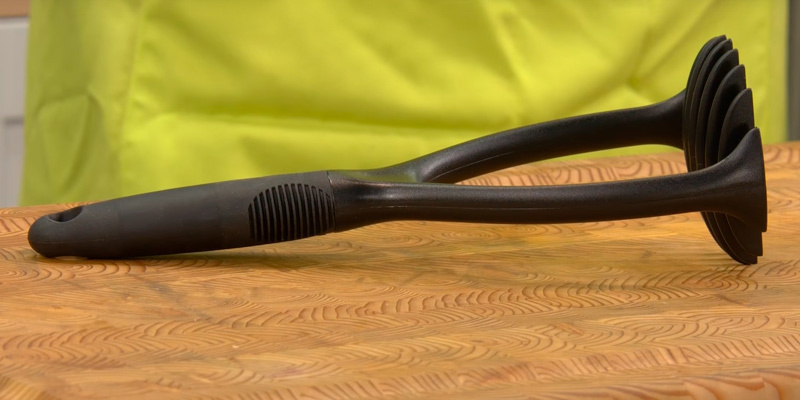 You'd think there isn't much you can do to make a potato masher different from every other masher on the market right now. But that isn't entirely the case. For one, the model in question comes equipped with a silicone side scraper. Using this scraper, you'll never fail to remove the mash from the bowl's edge. Another little detail that isn't necessarily unique to this particular tool but seldom found in its competition is a combination of different-sized coarse and fine mashing holes. 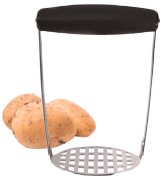 With small inner holes and large outer holes, the model lets you quickly mash any potato without leaving a single lump. The same can't be said about this nice little hanging hole in the handle. Again, not unique to this tool but isn't always present in every other masher out there, which is a shame considering the additional storage options it gives you. These additional storage options are especially important here because just about the only problem we have with this tool is the fact that it isn't necessarily compact, measuring 37.3 x 10 x 9.3 centimetres in overall dimensions. 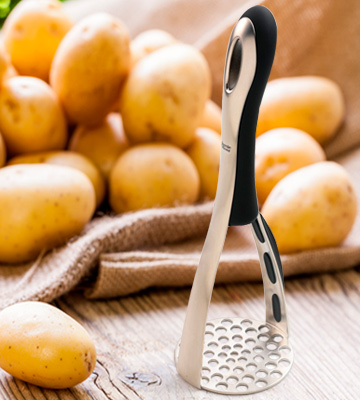 To sum it all up, despite its relatively massive size, Jamie Oliver JB8500 is probably the best potato masher on this list, at least as far as overall convenience is concerned. 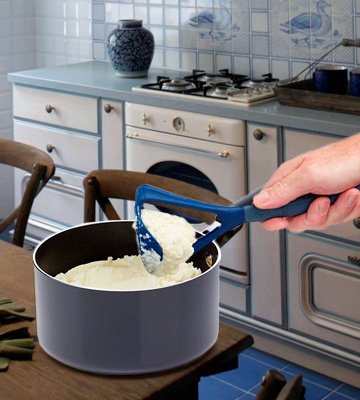 With this tool, you'll be able to prepare perfectly mashed potatoes with very little effort contribution. OXO Good Grips 34581V4UK doesn't really appear this way but the tool is actually a lot more comfortable and practical than your average masher. See, the difference here is that oversized handle. 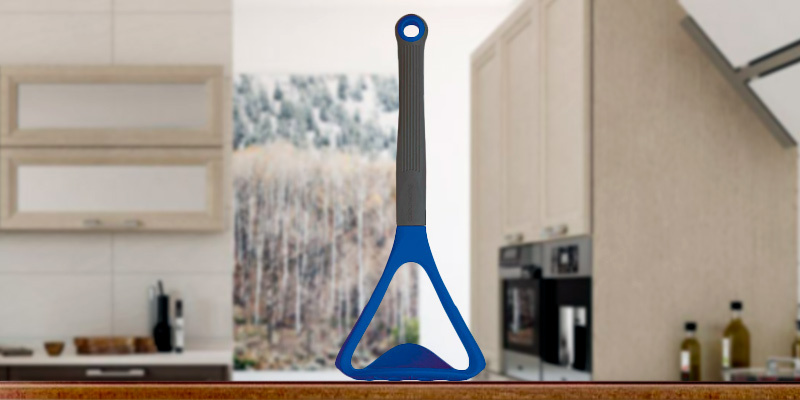 Sure, it doesn't make the masher look particularly sleek and stylish but it does its job remarkably well. Thanks to its size, the handle is really comfortable and able to absorb the pressure from hands, enabling you to use it for prolonged periods of time without experiencing virtually any hand fatigue. 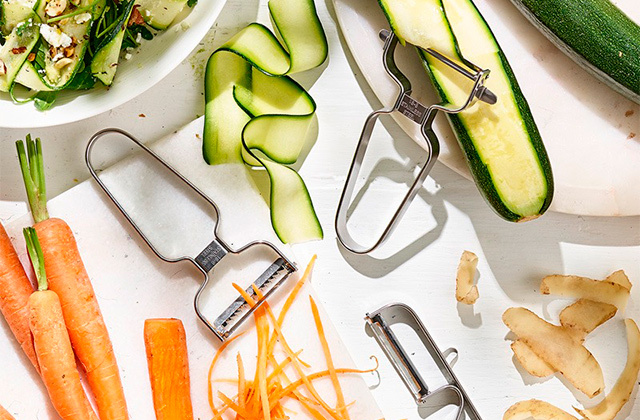 Though it is dubbed a potato masher, the tool is perfectly capable of mashing just about every vegetable out there bar a few rare exceptions. Its wide, grid-like head eliminates lumps with ease. Furthermore, the head is made of stainless steel, making it durable and dishwasher safe. The whole thing is practically immune to deformation and the stainless steel parts aren't susceptible to rust and corrosion. Last but not least, the model is really small and compact, adding up to just 15.6 x 10.2 x 7.6 centimetres in overall dimensions. In fact, its compact, round profile is both its advantage and only major disadvantage because it also makes the tool incompatible with larger plates. All things considered, there's nothing fun about mashing potatoes. But, with OXO Good Grips 34581V4UK, there won't be anything particularly annoying or arduous about it either. 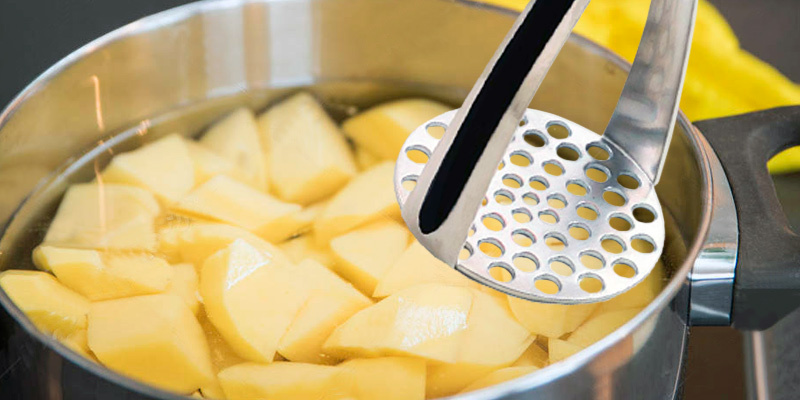 This potato masher couldn't make it any easier to mash as many potatoes as you want in the shortest timeframe and with no hassle. TedGem Stainless Steel Potato Masher isn't really a gem, we aren't willing to give it that much. But the tool has its moment, that we will gladly admit. Its biggest moment, without a doubt, is a combination of coarse and fine mashing holes. Evenly distributed, the 6- and 9-mm mesh holes make it particularly easy to crush just about any food item from the bottom. The holes do not leave any lumps and allow you to mash squashes, bananas, sweet potatoes, and other root vegetables to a fine consistency with very little effort on your part. 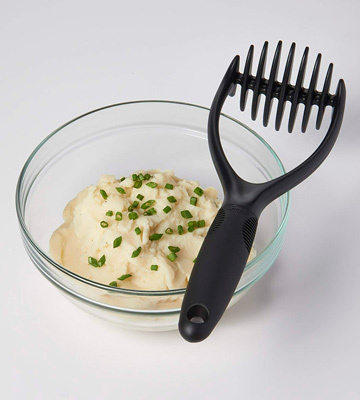 What's more, the masher comes supplied with a potato peeler, which is really impressive considering that, right now, it will cost you less than 7 bucks for both tools. As far as construction is concerned, we don't really have any major complaints either. The rust-resistant rust food-grade 430 stainless steel is about as robust and reliable as they come. The food-grade heat-resistant PP handle is, for the most part, soft and comfortable but it does have that cheap plasticky feel to it that we do not necessarily like. We do, however, like that the tool is dishwasher safe and you can just rinse the aforementioned mesh holes under tap water to clean them. Again, TedGem Stainless Steel Potato Masher isn't really a gem but it is definitely up there, at least as far as potato mashing tools go. Furthermore, considering that the tool comes supplied with a potato peeler, the price is ridiculously modest. Provided you don't already have one, this entry here is the best bang for your buck. 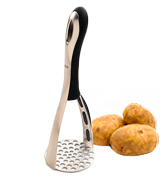 OXO Good Grips 77891UK looks a little different from every other masher here but it really isn't. Sure, the model has its flaws and its upsides too but, for the most part, this is more or less your average potato masher. Its plastic construction doesn't necessarily look as sleek and refined as stainless steel often does. That being said, metals are susceptible to rust and corrosion and we can't say the same thing about this nylon tool. Plus, does it really matter? At the end of the day, what matters is that this model will allow you to easily mash potatoes and other soft vegetables. What's more, the tool will also make it easy on your hands. Incorporating a soft, non-slip handle that works wonders absorbing pressure, the model makes it easy on your hands, putting very little strain on them. The "non-slip" part, of course, is nice too since it means you can use the tool with wet hands. What isn't necessarily nice, however, is the head. Though it is effective, due to its specific construction, it can be really difficult to clean. Having said that, the tool is perfectly dishwasher safe, so you shouldn't have any issues, provided you own a dishwashing machine, of course. 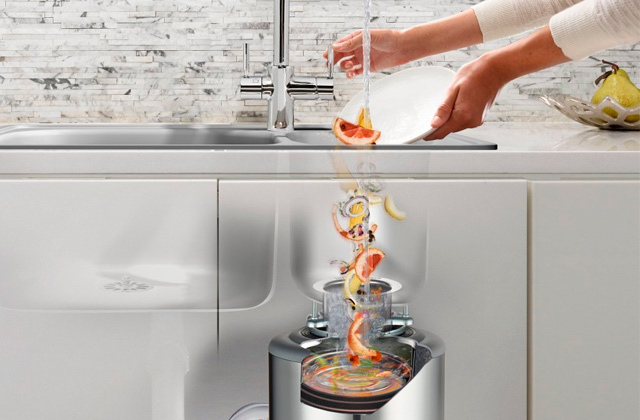 To put it differently, OXO Good Grips 77891UK will be great for people with a dishwasher in their kitchen. It comes equipped with a hanging hole, so you'll have extra storage options. Plus, the tool is heat-resistant up to 200 degrees Celcius. KitchenCraft Colourworks is the cheapest masher here. 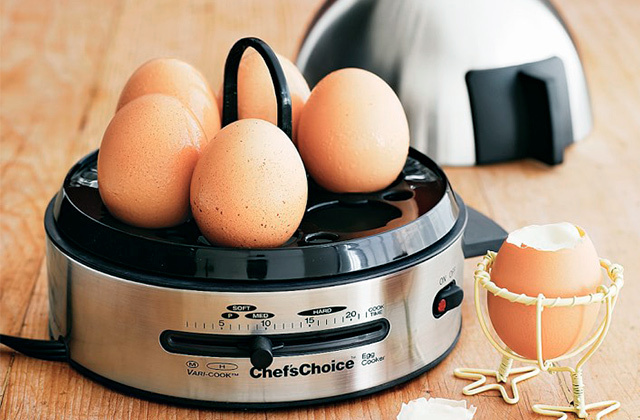 It definitely looks a little cheaper but kitchen tools don't have to look good (though it is always a plus when they do). 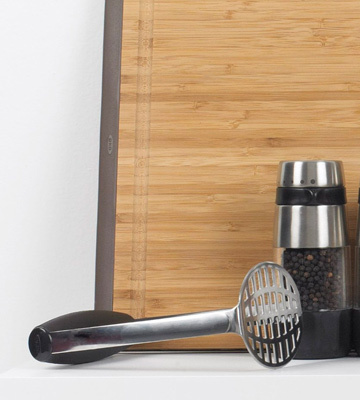 Kitchen tools ought to be practical, comfortable, and effective and we can't say that the model isn't everything on that list. 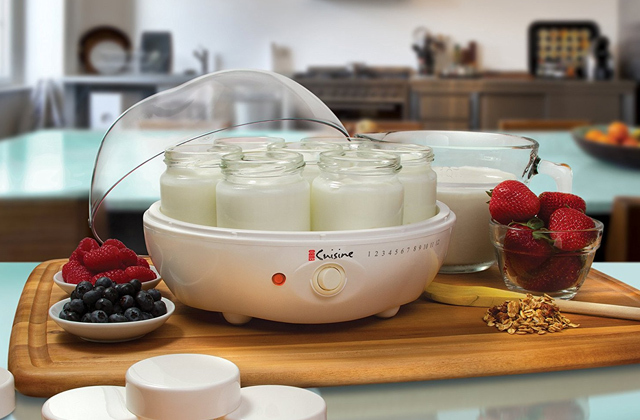 Equipped with a ribbed masher plate, the model will allow you to prepare the smoothest lump-free mash. On top of that, the tool also incorporates a serving scoop. You mash the potatoes, then scoop and serve them using the raised side that lets you plate up portions without a spoon. Again, though it looks relatively cheap, the food-grade silicone here is anything but. 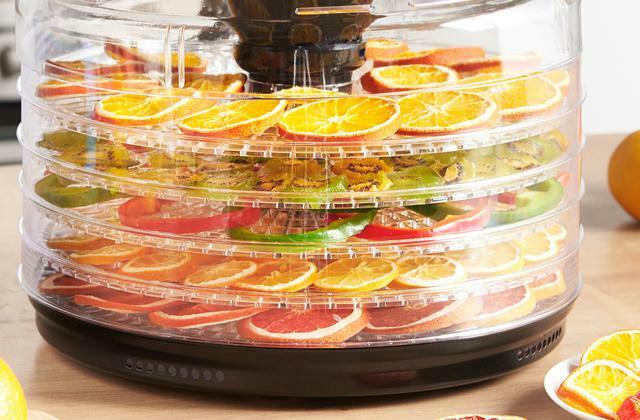 It doesn't take on residual odours or tastes, so it won't affect your food's flavour. The non-slip grip is comfortable enough and will let you use the tool with wet hands. 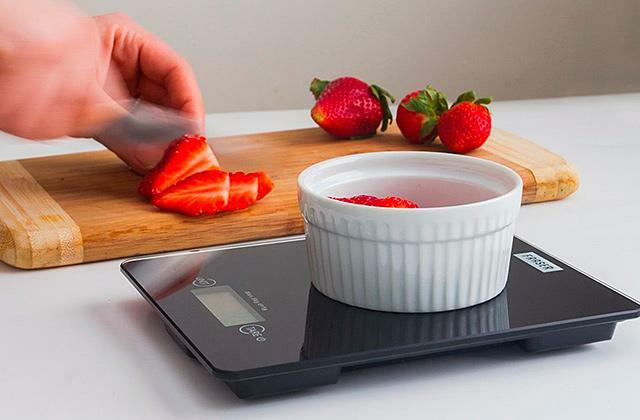 The tool is dishwasher safe, so you shouldn't have any maintenance issues. As far as we're concerned, the only problem here is the aforementioned ribbed masher plate. For the most part, it's great but a little small, so you will have to spend more time mashing the potatoes. All in all, KitchenCraft Colourworks may look relatively cheap but the model has a lot going for it. It isn't just a potato masher but also a serving scoop. It is available in a vibrant palette of colours, so you should be able to match your kitchen's decorative scheme. Potatoes are the swiss army knife of ingredients. They're easily the most versatile food. On top of that, it is probably the only food (definitely the only accessible one) that people can live on as their only food choice. Potatoes don't just contain the necessary carbohydrates and protein but also fibres, minerals, and vitamins. Basically, the only thing you need other than that is salt but it is more seasoning than food and it goes just as well with potatoes as it does with any other food item. And, sure, we all like our French fries and other potato-based dishes but mashed potatoes are just objectively better. 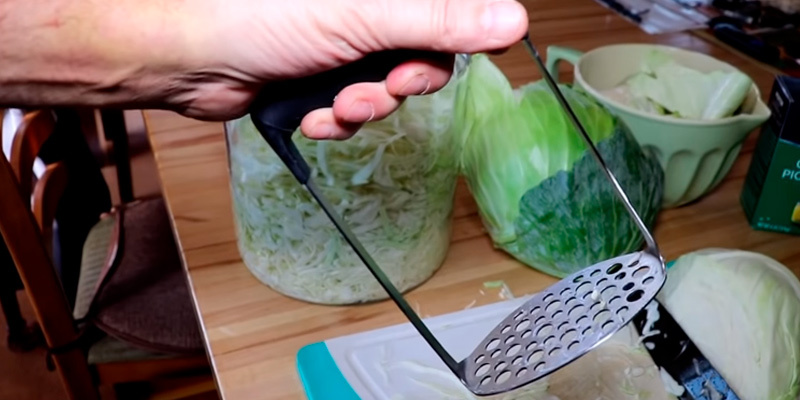 And to prepare that objectively better dish hassle-free, all you will require is a potato peeler (or a mandoline slicer that's a little more versatile but isn't as convenient for peeling potatoes) and a potato masher. Hopefully, we don't have to explain to you how a kitchen tool like that works and what it is exactly that you need it for. We can tell you the difference between specific models but it really all boils down to slight differences in the head and handle departments. Other than that, read our reviews and you should be able to figure out the right masher for you.